An amazing low carb alternative to pasta! Preheat oven to 400 degrees. 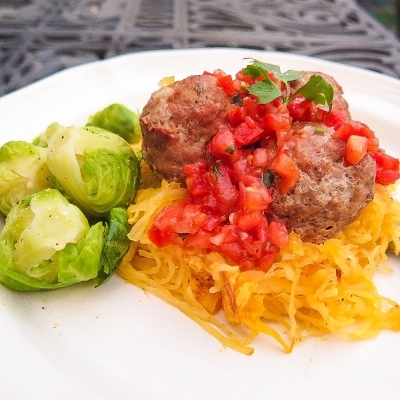 Cut the spaghetti squash lengthwise in half. With a spoon scoop out the seeds and discard. Rub the â€œflesh sideâ€ of the spaghetti squash with olive oil and season with salt, pepper, and garlic powder. Place onto a baking sheet and bake for 30-35 minutes or until you can pull the â€œfleshâ€ out with a fork easily. Enjoy!